Air Marshal Rajiv Dayal Mathur on Friday took over as the Air Officer Commanding-in-Chief of the Eastern Air Command headquarters here in Meghalaya. Air Marshal Mathur succeeds Air Marshal Anil Raghunath Nambiar. Headquartered in Shillong, the Eastern Air Command’s area of responsibility covers 11 states. It has permanent air bases at Chabua, Guwahati, Bagdogra, Barrackpore, Hasimara, Jorhat, Kalaikunda and Tezpur with forward bases at Agartala, Kolkata, Panagarh and Shillong. 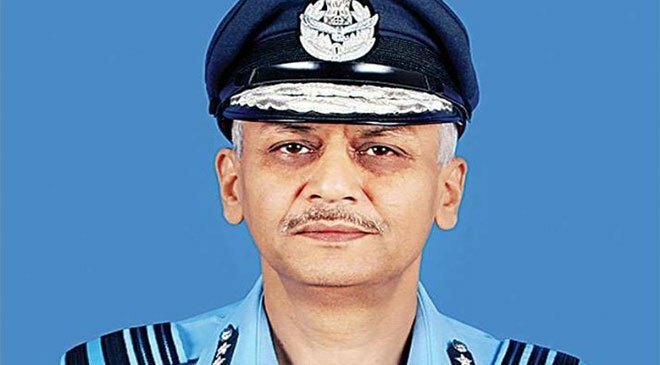 Air Marshal Nambiar, who was highly praised for shooting five of the eight Laser Guided Bombs on Pakistani positions during the Kargil war from his plane, took over as chief of the IAF’s sword arm Western Air Command. An alumnus of St Joseph’s Academy, Dehradun, Air Marshal Mathur had joined the National Defence Academy in 1978 and was commissioned into the fighter stream of the IAF on June 4, 1982. Air Marshal Mathur has over 5,000 hours of flying experience on a variety of fighter aircraft, trainers and helicopters. He also led its space and cyber wings. Prior to taking over as chief of Eastern Air Command, he was the Senior Air Staff Officer of South Western Air Command at Gandhinagar in Gujarat. He has held various Command and Staff appointments including command of a front-line Air Force station and a fighter aircraft squadron. His staff appointments include Principal Director, Information & Electronics Warfare, and Assistant Chief of Air Staff (Space) at Air Headquarters New Delhi, Air Defence Commander at Headquarters Eastern Air Command. He has been awarded the Vishisht Seva Medal in 2003 and Ati Vishisht Seva Medal in 2014.